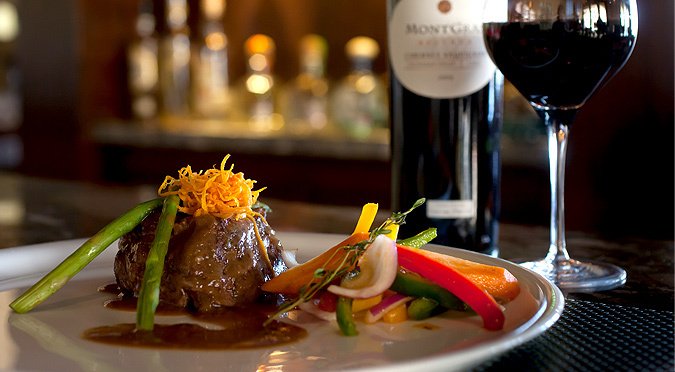 At Montecristo Estates Luxury Villas, guests enjoy a variety of culinary options. Head to the Clubhouse for international fare at Cibola or hop the complimentary shuttle and choose from a wide array of restaurants at our sister resorts. Relaxed sports bar setting meets an array of international flavors at Cibola. 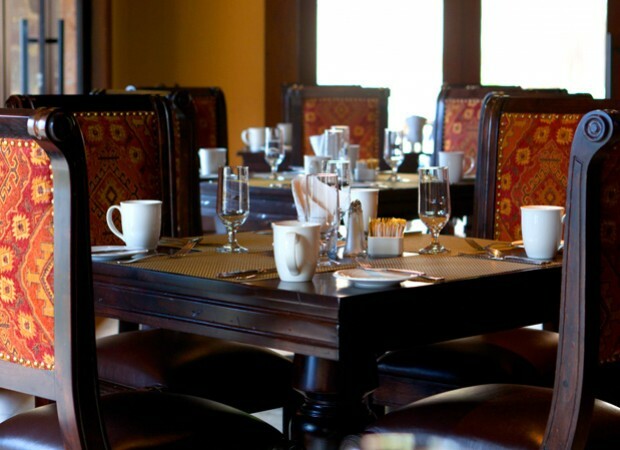 Located in the Clubhouse, Cibola serves fresh, delicious cuisine to suit every taste. 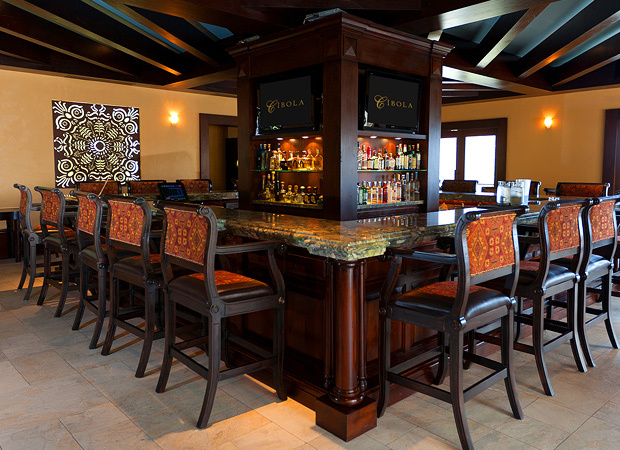 Enjoy an array of fine wines, specialty cocktails and local brews at our stylish Cibola Bar. Catch a game on one of the bar’s flat screen televisions while you mingle with fellow guests. 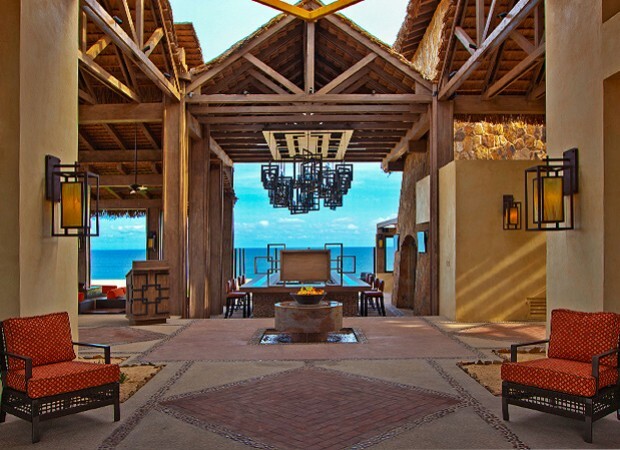 Come and enjoy an unforgettable dining experience in Cabo San Lucas at the LaFrida restaurant. The extensive menu of Mexican gourmet cuisine is complemented by panoramic ocean views and an upscale, artistic ambiance that celebrates the life and work of Mexican artist Frida Kahlo. LaFrida offers a fine dining experience for adults. The dress code is resort-casual. Enjoy flavorful Mediterranean-style cuisine at Siempre restaurant. The gourmet, wellness-inspired menu features delightful seasonal creations, as well as indulgent favorites, including homemade sweets and mouthwatering treats. Siempre restaurant is for adult dining. Don't miss the fabulous Fellini's Ristorante for award-winning Italian cuisine. The menu features thin-crusted grilled pizzas, the finest meats, fish and succulent seafood, elegant risottos, and pastas bursting with flavor. Fellini's also offers a sophisticated wine cellar created by our national champion sommelier. Indoor or patio dining. Dress code is Cabo casual. Gentlemen's shorts with casual shoes are accepted. Children under the age of eight are not permitted.